It’s best to start out slow. You may be tempted to bite down on your favorite food items, even if they are hard, tough, or chewy. But remember that your dentures need to get used to you just as much as you need to get used to them. While the dentures are still settling in, try not to bite using the front of your mouth. This can cause an imbalance during this sensitive period. You may not ever regain 100% of that feeling of eating with natural teeth. However, dentures can come close, allowing you to chew and navigate comfortably with your mouth. Soon, they will be just as much a part of your natural body as the rest of you. This means that you should take extra time and care to engage in healthy dental hygiene, just as you would with your natural teeth. A daily routine of brushing, flossing, and rinsing out your mouth can really go a long way. Remember to wash your dentures when you take them out at night. Take this as an opportunity to brush your gums and tongue as well. Dr. Kao wants you to be aware of certain types and substances of foods that can be damaging to your dentures, even if you have been wearing them for years. As you grow used to them, you will find it easier to eat pretty much anything, but that doesn’t mean it’s always good for your implants. Stay away from foods that continue to be super sticky or chewy. 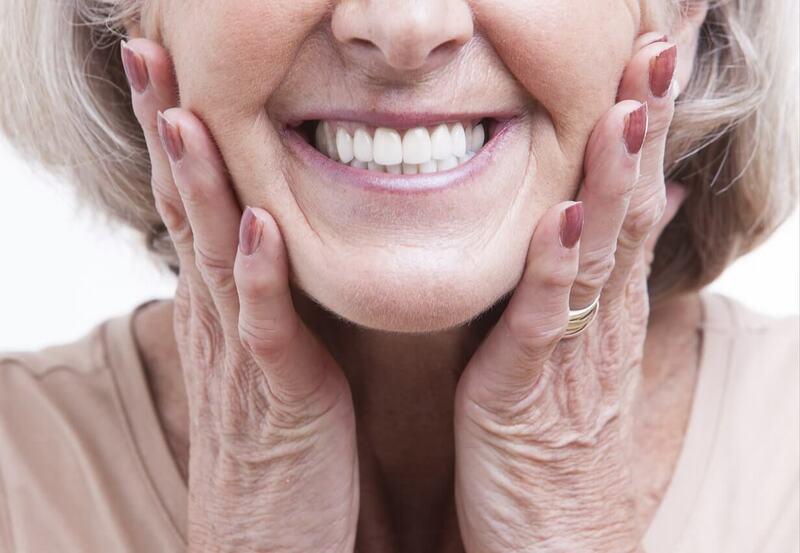 This can damage the dentures, costing you an expensive repair job. When you’re first starting out, there are several things you may want to avoid in order to make the transition into denture life a bit easier. As you adjust, you will find your confidence growing and your ability to eat more diverse foods increasing. At the beginning, however, try to stay away from hot and chewy foods. You’ll also want to avoid chewing gum, as this can severely damage the dentures. Lastly, if any of your food contains sharp bones or sharp objects, try to stay away from it until you are an experienced denture veteran. Trouble eating? Teeth falling out? Hurting gums? Dr. Kao, your periodontist in Los Angeles can help get you fitted with the right treatment solution that will build your confidence back up and help you live a more comfortable life. For more information about eating with dentures and other dental implants procedures, you can get in touch with our friendly staff members today. Simply contact us online or give us a call at (213) 250-7554 today. Previous Previous post: What Causes a “Gummy” Smile and Can You Fix it?